January 30, 2013 - Two now-former TSA officers who conspired and attempted to smuggle drugs through Hartsfield-Jackson International Airport security have been sentenced by United States District Judge Charles Pannell. Today, Richard C. Cook, II, 28, of Henry County, Georgia, was sentenced to 11 years in prison; and on January 4, 2013, Timothy G. Gregory, 26, of DeKalb County, Georgia, was sentenced to six years in prison. According to United States Attorney Yates, the charges, and other information presented in court: Beginning in January 2012, on multiple occasions, Cook and Gregory misused their positions as officers with the Transportation Security Administration (TSA) to smuggle what they believed to be illegal drugs through Atlanta’s airport security. The investigation began after authorities received information from various sources that Cook was willing to use his position to smuggle contraband into secure facilities. Based on that information, federal law enforcement officers initiated an investigation into Cook’s activities. Specifically, on January 11, 2012, Cook met with two undercover officers, both of whom were posing as drug cartel members. During the meeting, the undercover officers provided Cook with three kilograms of fake drugs, which Cook believed to be heroin, and $3,500 in cash, which was partial payment to Cook to smuggle the drugs through airport security. Thereafter, Cook, who was wearing his TSA uniform, went to the airport, transported the drugs through the TSA security checkpoint, and delivered the drugs to an undercover officer inside the terminal. Cook was then paid another $4,000 in cash, which was the remaining payment for smuggling the drugs through security. Similarly, on January 26, 2012, Cook met with an undercover officer before reporting for his TSA shift at the airport. During this meeting, the undercover officer provided Cook with three kilograms of fake drugs that Cook believed to be heroin and $4,000 in cash, which was partial payment to Cook to smuggle the drugs through airport security. Thereafter, Cook, who was wearing his TSA uniform, went to the airport, transported the drugs through the TSA security checkpoint, and delivered the drugs to another undercover officer in the terminal. The undercover officer then paid Cook $3,500, which was the remaining portion of Cook’s fee for smuggling the drugs through security. 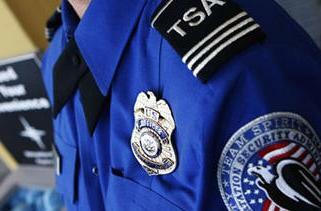 In both sting operations, Cook believed that he was smuggling heroin through airport security. In February 2012, Cook resigned from the TSA. However, Cook recruited TSA Officer Gregory to assist with the drug smuggling operation. Cook introduced Gregory to the undercover officers who were posing as drug traffickers and received a referral fee of $1,000. On February 24, 2012, an undercover officer provided Gregory with five kilograms of fake cocaine and $5,000 in cash. Thereafter, Gregory, who was wearing his TSA uniform, went to the airport, transported the cocaine through the TSA security checkpoint, and delivered the drugs to another undercover officer in the terminal. On May 4, 2012, undercover officers provided Gregory with 10 kilograms of fake cocaine, which Gregory had agreed to transport from Atlanta to Commerce, Georgia. Today, Cook was sentenced to 11 years in prison, to be followed by five years of supervised release, and fined $16,000. On January 4, 2013, Gregory was sentenced to six years in prison, to be followed by five years of supervised release, and fined $5,000.